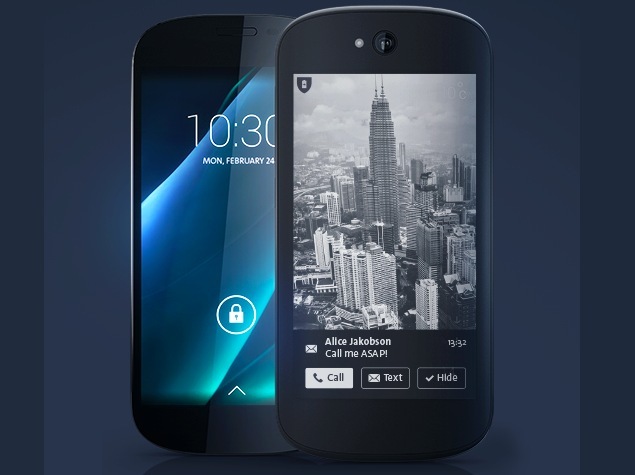 YotaPhone 2 is undoubtly one of the most eccentric releases in the world of technology this year. The Russian-produced device is surely curious, but not the first of its kind, being the rightful successor to the original YotaPhone, also sporting the feature that draws our attention. At first glance, the phone does not show off anything other than a sleek design, a large AMOLED display and other goodies you might find in your regular 2014 smartphone. The catch is in fact the secondary display on the back of the phone, made entirely of electronic paper (or E-Ink, more commonly known) – the material that has become so popular in e-reader device fabrication. So why a dual display smartphone? Well, several reasons were brought up as arguments by the Russian Yota Devices company. Firstly, and probably the strongest feature by far, is the versatility that the E-Ink display can offer through low battery usage. It’s no secret that the main problem with smartphones these days is the fact that their battery tends to be a liability under prolonged usage stress. The YotaPhone 2 can shed off some of that problem through the electronic paper screen that the developers promised can last up to 5 days of usage with the integrated battery. The back screen also displays basic information and notifications that you would normally get on your locked or home screen, and has also been given capacitive touch across the entire display. Another interesting feature added to make use of the dual screens is that when the phone’s battery runs empty, all functions will switch to the E-Ink back screen temporarily but long enough for you to get to a charger. Although the original model of the YotaPhone also incorporated the clever dual screen design and managed to raise quite the tech hype, users were put off by numerous bugs and rough, blocky exterior design. Yota Devices has stated that out of appreciation for the loyal users and insightful feedback they received from them, they were able to create a new and improved phone that they can truly be proud of. The 5” 1080p AMOLED front display, 4.7” E-Ink back, along with a Snapdragon 800 processor, 2 GB of RAM and up to 32 GB of HDD memory smartphone has been released in the United Kingdom on Wednesday and is scheduled to start being distributed in 20 European countries by January, several Asian countries by spring and the United States later in the summer of 2015.